Kris Armstrong had two triples and two runs to lead the Benjamin offense. The approach for the Benjamin Buccaneers under new manager Jack Armstrong is to do the right thing every time out. Hungry for a victory against a tough offense in host Forest Hill, the Bucs got in a groove early on and never let up. 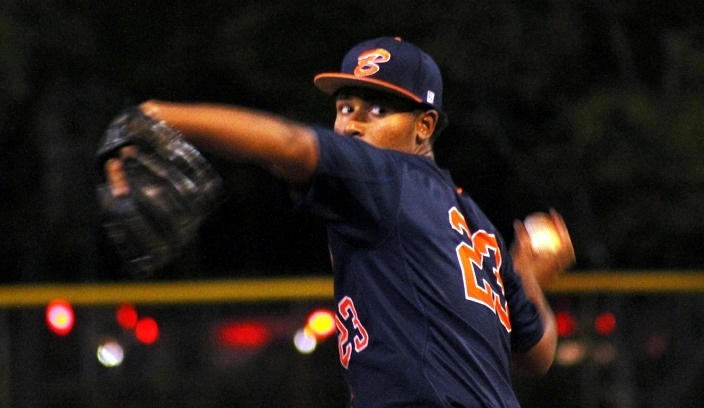 Benjamin took the lead in the top of the first and never looked back, defeating Forest Hill 9-5 on Wednesday night. Kris Armstrong helped spark the offense with a pair of triples in his first two at bats, including a triple in the top of the first that opened up the flood gates for three runs and a lead the Bucs (3-2) never surrendered. 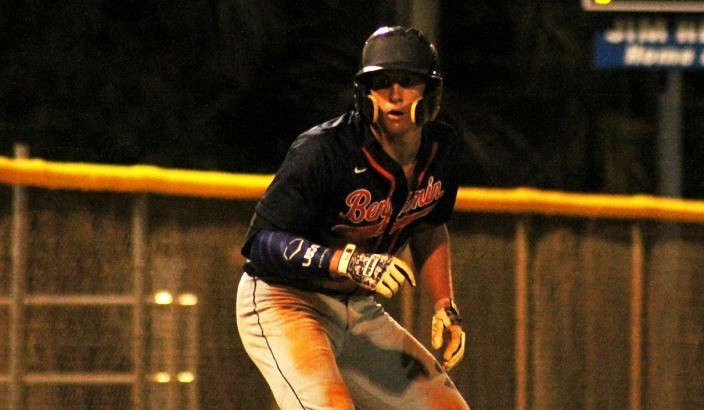 Benjamin scored in all but one inning to keep adding to its lead, and every run proved valuable by the way the Falcons swung the bat and battled to the finish. The Bucs batted around the order in the first. After Kris Armstrong connected for a triple into the right field corner, TJ McKenzie and Paul Lanoce both walked to load the bases. Parker Haskin, Aaron Steinhart and Brian Lopes all followed with RBIs to hand starter Nate Gordon a 3-0 lead before he even took the mound for his first pitch. That offensive prowess carried over into the second. Kris Armstrong split the left-center field gap and sped around the bases perfectly to then slide safely into third with one out in the second. A throwing error then allowed him to come home. Kris also made several key plays to stretch and pick some throws to first base to help pace the defense. Even with the Bucs also playing two district games this week, they made sure not to overlook the Falcons (1-3) in this mid-week road contest. 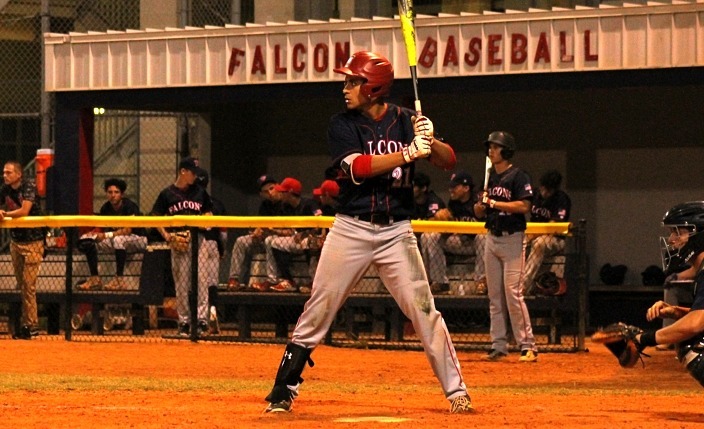 Anier Ricardo went 2-for-4 and had two doubles, an RBI and a run for the Falcons. The Bucs continued their offensive trend the entire way, putting runners on base in every inning. They added a pair of runs on errors in the third, Haskin drove in another with an RBI ground out in the fourth, and Jack McCluskey crushed a shot that bounced off the left field fence for a double, before he came in on a throwing error in the fifth. Lanoce drew his fourth walk of the game and later scored on an RBI single from Steinhart in the seventh. Despite falling behind by four runs heading into the bottom of the second, Forest Hill never backed down and continued fighting for runs right to the final batter. The Falcons cut the deficit in half with a pair of runs in the second thanks to a two-RBI single from Carlos Diaz. After Carlos Fonseca lined a single to left and Anier Ricardo followed with a double to right, Diaz lined a shot past third base to send in both runners and make it a 4-2 ball game. Nate Gordon earned the win for the Buccaneers. When the Bucs responded with two more in the third, the Falcons answered in turn with another pair of runs of their own. Bryan Valdez doubled to left and Victor Ortiz was hit by a pitch, and Ricardo sent a shot deep to right field for a double that drove in both runners. Senior Nick Taplett came on in relief for Gordon, and his performance helped cool down the Falcons while allowing the Bucs to further extend their lead again. Taplett did not allow any hits, walked one and struck out five in three scoreless innings of relief. Forest Hill made one last push in the seventh. Damian Allione singled past the shortstop leading off, advanced on a wild pitch and then scored off an RBI double from Ortiz.